Today a fun sponsored giveaway from Forth Worth Fabric Studio. FWFS is an online-only fabric store out of Texas, owned and operated by Jodie Heinold. She has a fabulous selection of fabric collections from many of the major fabric manufacturers. I love how easy it is to see and search the available fabric collections available. I love an online shop that is easy to navigate! Some new collections in stock include Purebred by Erin McMorris for Moda. This includes fat quarter bundles as well as yardage. This is a great collection – especially if you’re a horse lover! Also new in stock is Canyon by Kate Spain (gorgeous colors and florals in this line), Gooseberry from Moda (LOVE this one! ), Dot Dash Stripes (such a cool neutral), cute vintage Toy Chest Conversationals from P&B Textiles, and cheerful Bloom and Bliss from Riley Blake. Fort Worth Fabric also specializes in and carries a large variety of novelty fabrics and quilt kits. One of Fort Worth Fabric Studios specialties is custom fabric bundles, with a new bundle available each week. This week’s bundle is Christmas inspired – called Home for the Holidays. You can see other custom bundles, as well as manufacturers bundles here. I’m particularly smitten with their custom low-volume bundle. 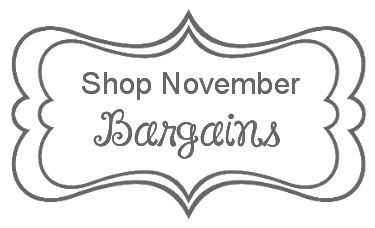 And be sure to check out the November Bargains that are available through today (November 7) for great deals on yardage as well as selected Fat Quarter bundles. You can also follow Fort Worth Fabric Studio on Facebook, Instagram and Twitter to keep up on the latest arrivals and bargains! I love the Low Volume half yard bundles! That was be an awesome bundle to use in a quilt. Thanks for the chance to win! I receive their newsletter and like the Friday bundles. Their service is great, hope to win. I love the Moda Gooseberry line and really love their Friday Bundles they offer! thank you! Ohh the Purebred moda line would make a great quilt for a little horselover that I know! Thanks for the opportunity! I get their newsletter on Fridays and it is a nice shop. I like the Paradise FQ’s and the All Suited Up bundles. Thanks for the giveaway! I love saltwater by Riley Blake. Thanks for the chance! Love love love Kate Spain’s new fabrics…would love to win! I’m a bit Kate Spain fan, would love some Canyon. Thanks for the great giveaway. Dogwood Trail ll by Moda is beautiful!! Just because we are approaching the winter season, All bundled up is sooo darn cute! I would love to get something from the Purebred line. The quilt I would make would make someone very happy! Thank you! I love FWFS and their Friday Bundles. They also have excellent customer service! Holidacious is one of my fav bundles at the moment. I love the Gooseberry line by Moda. I’m partial to anything Moda!! I love the gingerbread tea towel kit – great Christmas gift to make for someone special. I love Farmhouse and Hello Darling! Great collections! I LOVE all things Kate Spain. Canyon is my new fave. FWFS has so much to choose from, but the low volume bundles caught my eye! Love the MODERN MIX Fat Quarter Bundle! You’re right, the low volume bundle is fabulous. I also liked the Modern Mix bundle. Strawberry Fields quilt kit is sew pretty. Thanks for the generous giveaway. I love Purebred by Moda! I can’t wait to get some! I get Fort worth’s newsletter. anything by Kate Spain is great, the canyon collection looks fantastic! Love Kate Spain’s CANYON. Lovely floralsl. The site is set up very nicely…I like the variety of products. I really like their own bundles, especially Bicycles & Blooms FAT QUARTER Bundle. I am a sucker for Scrap Bags and FWFS has a 3-pounder on sale, y’all! It’s like a box of chocolates – you never know what you’re gonna get! I love their Friday bundles. Oh my gosh! What a wonderful shop! I’m just a little partial to the 1930’s prints ‘Spring Showers’ bundle. I adore 1930’s prints and I have a pattern for a 1930’s quilt in Vol 11/11 of Australian Patchwork magazine that has been on my ‘to do’ list for just about ever! The Spring Showers bundle would add the final beautiful pastel shades that I need to begin making this. I’ve been wanting Canyon by Kate Spain. I love the Canyon line by Kate Spain! Her color combos are beautiful! I love the All Suited Up bundle! What I love, love, love is the idea of the Friday bundle bunch. I love curated fat quarter sets. Lost and Found is an interesting piece, and the prices for backing are great! I really like the purebred line. I think it is really fun. Thank you for the chance to win some fun fabric. Love the Color Me Princess Paisley and the Boys Hexagons – thanks. I love their pocket packs. I tend to buy in certain colorways only so that would be a great way to round out my stash! I really like the canyons line. It’s beautiful. I’m curious about the panel bundle. Love the FWFS low volume fat quarter bundle and the Hazel bundle! I can’t pick one fabric (impossible!) so I have to say what I really live at FWF is their custom bundles. It lets me see combinations of different fabric lines together, which is awesome. Frivolous on sale for $34.99, oh my! I like the Farmhouse fat quarter bundle. I get the FW newsletter and love their Friday bundles. I would choose the low volume and storybook collections. I have made both a quilt and some flat zipper bags from patterns on their blog. I need some of the Hazel line!! i love all things frivols. I love the Toy Chest bundle! I love the pocket packs! It’s hard for me to get out, so these collections of four coordinating fat quarters look perfect for filling in holes in my collection! LOVE THE “GOOSEBERRY COLLECTION” ! The “Pocket Packs” are a novel idea and I love all of the color combinations in the shop. Great stash builders! Thanks for the chance in the giveaway. I love so much, the Christmas bundle would be at the top of my list along with some Hazel. The more I see of the Bloom and Bliss fabrics, the more I like them. I think they will be going on my “need to have” list. Thanks! I love Gooseberry Floral Bouquet Sky by Moda. I always love your bundles, and if I won, I’d probably get the aqua/red bundle. That one always takes my eye! I like their custom bundles like Modern Mix. Thanks for the chance! I also love the Canyon and Gooseberry lines. Seriously love, I should say! I love the Winter Celebration Nordic Snowflake Green! Thanks for the great giveaway! There are always so many things to love so many that one could never get them all sewn! I really like the bundles they put together because it really lessons the costs. Their Fridays bundles are always super. I particularly liked the navy and cheddar bundle. I usually love their Fridays custom bundle. i love the Ella’s basic half yard bundle. Thanks for a great giveaway. I love the Spring Showers bundle! The colors are so soft and gentle. I love the fabric associated with the free downloadable quilt pattern called Starry Migration Quilt! I love the Fog City collection. The greys and pinks are gorgeous. I like the fat quarter bundles. There’s so much to do with those! My favorite would have to be a Color Drenched selection, because I am needing more bright colors in my stash. I would love the fat quarter bundle of Canyon! I’ve wanted it forever! Thanks for the chance to win! Apart from the great selection of fabrics……. always a soft spot for the thirties prints….. what I love above FWFS is that their minimum cut is 1/4 yard. Great for giving customers choice about how much fabric they really want or need! Go FWFS!!! I like the look of Bloom and Bliss. So many colours! Thanks for the giveaway. Red Roosters winter collection feels good. Love the low volume bundle, such a cute selection! I like the large selection of batiks at FWFS, the Twist and Shout collection being a particular favorite. Thanks for the giveaway! Thanks for reminding of us Fort Worth Fabric Studios. I think they have wonderful tutorials from very talented people. I really like the “All Suited Up” fat quarter bundle. The Slice of Color bundle is fun. Thanks for the giveaway! I like Fog City fat quarter bundle. Thank you! I love the 1930s prints. Great selection. The Red Velvet Holidays Bundles looks like a lot of fun. I love Carina. Such a beautiful floral collection. I love the wondey color grouping in Canyon by Moda. Should say wonderful. Just have issues with small keys. The shoe fabric with the ?Parisienne them fabric would be a hit with my DIL. Thanks for offering such a nice giveaway. Love the Skopelos fat quarter bundle art gallery. So unique! I love Kate Spain fabrics and the Christmas bundles. Thanks for the giveaway. I know I should be looking at the new stuff, but I’d love to get my hands on some of the Michael Miller polka dots and one or two of the “Springtime in Paris” prints. They’d be perfect together! I know it isn’t that new, but I love the AG Skopelos collection. Thanks! I love all things Kate Spain & CANYON is no exception! I love Color Drenched and Modern Mix. Love the red rooster fabric. I get their Newsletter and I love their Friday bundles! I love the Canyon fabric by Kate Spain!! I like the Navy and Cheddar bundle. Lots of nice bundles to choose from. I like Honey Bee. I love the fabrics in The Cardinal Rule line. The remind me of my mother who always loved cardinals. I love the Hummingbird collection by Island Batik. Thanks for the chancce to win! I’ve followed FWFS for quite some time and really look forward to the Friday Bundle specials. Thanks for this give-away! I follow on intragram and receive the newsletter.i like the Friday bundles, great giveaway! I like the Evergreen fat eigth bundle. I get their newsletter and I like their Friday bundles. Thanks for the great giveaway. Love that they have some great Springs Creative items on sale!! I have to say the Home for the Holidays bundle looks great right now!! I’m not much of a Kate Spain fan… But I adore Canyon. It may make me a convert! I love Fog City Kitty and Vintage Market! Fort Worth Fabric Studio has so much to love, plus great prices! One fabric that caught my eye is: Divine Main Floral Windham. I really like the assorted size of flowers in this fabric! I looooove the “ALL BUNDLED UP QUILT KIT”!!!!!!!! Wow! What beautiful bundles! A great selection as I was of beauties as I was doing my wish list. Love Pruebred, anything Kate Spain and how gorgeous is Dogwood? Awesome giveaway! Thank you FWFS and my fingers are crossed, hehe. Ooh, that low volume text bundle is delightful! But I saw the dot dot dash stripes half yard bundle and just thought of the adorable skirt or dress I could make for my 3yo daughter. It’s super cute! I love that Christmas bundle she advertised in her newsletter this week! They have a great selection of precuts and wide quilt backing. I really need that color drenched bundle but there are so many I could choose. I like the Evergreen FAT EIGHTH BUNDLE by Moda. I receive their newsletter and love the Modern Mix FQ bundle. Hope to be lucky ! Oh, it is like choosing a favorite child…Gooseberry…Canyon…so many pretty things. I get their newsletters. Today I found out that they have the wide backing fabric and that’s what I would use the gift certificate on. That was easy — Ooh La La Paris! There are so many that I like. The low volume prints are interesting. I receive the Fort Worth Fabric Studio newsletter and loved the instructions for making the Vintage Market Quiet Book. I plan on making one for my youngest niece, so I was really happy to see how much of the charming Vintage Market fabric FWFS has. I have many wonderful fabrics from fort worth fabric studio but I love Hello Darling Moda and the Nested Owls Mint Adornit!. I love the Christmas bundle too. Great giveaway! PUREBRED moda looks so stunning! I love the Christmas bundle, Home for the Holidays. Great Giveaway and just in time to make a throw and matching pillow. I love the Friday Bundle Batches, this one included! I’ve bought many of them when I had some gifty projects to make and they are quite handy! Thanks for a great giveaway! All bundled up looks warm and inviting. Thanks for the opportunity to win! I’m torn between Purebred and Canyon. Love the HOLIDACIOUS bundle. I am working on Christmas projects so Christmas is on my mind. The bundle selections are really great. I love so many of the bundles that you have. My next project is going to be a red and white English paper piece project. The cherry pie bundle has wonderful reds! I like the Cat’s Meow bundle. I love the low volume bundle too, BUT the Home for the Holidays has definitely caught my eye! The PRICES are wonderful too. I would the Christmas bundle to finish my holiday sewing. Thank you for the opportunity to win! I love the Dear Stella navy/white stripe fabric for binding .. And it was on sale too! I like the selection of wide quilt backing, especially the Modern Script (she offers white AND black!). I would make tree skirts out of the Christmas bundle. Thanks for the opportunity. There are so many fabrics that I would love…. But something new that caught my eye is On the Wing. They have a great selection of dot fabrics and bundles! I love the Canyon line! Thanks for the opportunity to win! Love the low volume bundle. I’ve ordered several bundles from them and everything is gorgeous! Thanks for the opportunity! I love the nested owl and many more, they have a lot of adorable fabrics. I love browsing through their sale bins. I was searching them yesterday and there are some Art Gallery prints in there that I want more of! I’d love some canyon fabric – it just looks so gorgeous! Nested Owls, I still love owls. I love their selection of wide quilt backing fabrics. Thanks! I love the dot dot dash by moda bundle. Thank you! I love the “Home for the Holidays” fabric. It would make a beautiful table topper. I have ordered from Ft. Worth Fabric Studio and the service was great and fast. I love kits and the poppy tote kit immediately caught my eye! I love FWFS and follow them via their newsletters and Instagram! Their Friday Bundle Batch is my fave! She has a great eye and creativity when she outs those together! How does she do that?! Thanks fir doing this giveaway, Amy!! I love the Cute Critters FAT QUARTER BUNDLE. the designs are so cute! I also love the color picker. I LOVE the Drawn Steel 108-inch wide quilt backing!! Perfect for a couple of WIP’s I currently have. I’m in kid-mode these days (grandkids) and I love I love the Cotton Alice border prints in all the wonderful color choices. Also, Dear Stella’s Dress Me Playground and there is …. 😉 I, too, get their Friday email and love the free tutorials they send. Great give-away. I’m already spending it!! I have been looking at their Christmas collections. I love their Friday bundle batch. Thank you for the giveaway. Thanks for sharing a new great website to shop at! I love, love, love the line Forest Frolic by Red Rooster, and have a sweet little baby quilt in mind for it! Love the cute pocket packs! Like the variety of kits she offers. I love both the Canyon line by Moda and Nested Owls by Adorn it. Thanks for the giveaway. I loved the Bohemian Rooster placemat kit- which I will go back to and order. Thanks for this new site! I like the solid navy Riley Blake knit! I love their selection….it includes such a great variety of manufacturers that I can’t find close to me. Their fat quarter bundles look great, I’m new to quilting, I would love to win so I can buy some fabric. I love Fort Worth fabric store and would luv to have the Home for the Holidays and the Purebred by Moda. Forth Worth Fabric Store is a great place to shop with and they have tons of beautiful things! I hope I win! Thanks for the chance. Love your website! So much inspiration. Helen G.
I like the Artisan Spirit Shimmer Strips. I love their SCRAP-DILLY-ICIOUS bundle, so cute! I love Canyon by Moda! Thanks for the chance to win ? Home For The Holidays is a very nice fabric line. Always love the bundles at FWFS. Right now I would love to have the Minion Mania bundle to make something for my grandson. I love the Storybook Vacation by Whistler Studios for Windham Fabrics, fat quarter bundle. Adorable!! Well, I had a look around and it was tres difficult to find just one item I would like to add to my…ehem…collection, but I did find this: CHRISTMAS POINSETTIA Quilt KIT. It uses the Dresden Fan ruler, which I recently purchased! I’ve never seen the Adornit fabrics before, and the You and Me collections are really great. Thanks for the giveaway, Amy! I get the Forth Worth Fabric Studio newsletter, and they run some great sales. Their blog is always posting some good tutorials too. And I love the way that Jodie puts her weekly bundle together. I love the Christmas bundle that you show, but I also really like Apple Butter Rhubarb that was in the November sales. I went through the fabrics and found Daysail Tiny Script in Grey by Bonnie & Camille for Moda. I love fabric that has text that I can use as a background for my hand applique. Thank you so much to you and to Jodie for doing this giveaway. I love the color drenched fat quarter bundle!! It would make a beautiful quilt! Oh so many to choose from! 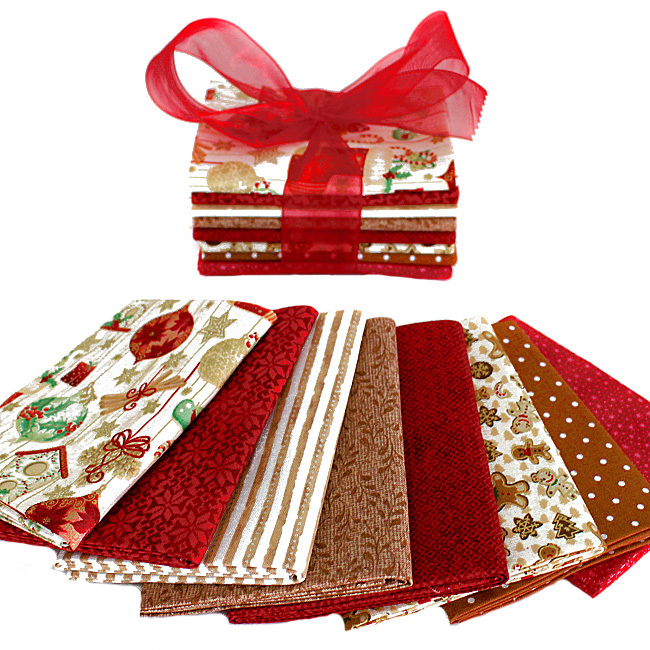 I always love her Friday’s Fabric Bundles – a great selection of FQ’s for an awesome price! Right now I am in love with the Bloom & Bliss fabric line by Riley Blake, it is so sassy! They have great bundles featured each week-so nice to look forward to. I really like Canyon and also their low volume bundle! I am also really loving Gooseberry! Thanks for the giveaway! Love their bundles! Wonderful color choices! I really like the Dear Stella Mini Confetti Dots. Their weekly bundles are the best! I subscribe to their newsletter by email. Thanks for the chance! I like Modern Background Paper by Zen Chic for Moda Fabrics! Loving Gooseberr! FWFS has the jelly roll that I would love to get. Loved the huge selection of bundles.! I liked the Fog City Kitty Pewter Main Focal Lakehouse – modern and different. Fog City Kitty FQ bundle is at the top of my fabric list! I really enjoyed browsing through the bundles of Fort Worth Fabric Studios. I especially loved the well curated, Holiday fat quarter bundles. The bonus is that they list the name of each fabric within the bundle, which is so helpful if you want to order more of that print. Awesome website! I love their color picker. Well that took forever? love your site! I like the Paradise bundle but definitely a hard pick. I’ve been wanting to try the lace zippers and a couple yards of *handmade* tape too! I like the batik artisan spirit shimmer fat quarter roll pansy northcott. I like Jodie’s coordinated bundles and her project posts. I love their Bicycles and Blooms Bundles. They have so many wonderful compilations! The Carina Fat Quarter bundle is pretty. I like many others love the Home for the Holidays bundle. I love that you can shop by color using the toolbar on the left side of their web page. Sure makes it faster looking for a specific color. I also like their wide quilt backing prints. I’ve never had good luck finding wide backings in interesting prints before. I really love the Spring Showers Packed Flowers Blue Wilmington! So rich and beautiful! I’m loving the Moderm Mix FQ bunde! Canyon by Kate Spain! Lovely colors. Loved the Friday bundles and the 30’s bundles! Good thing that shop is not close to me I’d have to work off my debt! I really like Canyon by Kate Spain! I really like the Cherries and Lime FQ bundle. Not my usual colors, but for some reason, I really like this one. Thanks for the chance! I love the CHRISTMAS POINSETTIA Quilt Kit! Thanks forfor introducing this shop to me. Saltwater is on Sale, I would totally get that! Love the red velvet bundle. Love that they have the Tula Pink Coloring Book!! Blueberry Park by Robert Kaufman. I love the Aquatic Friends PANEL + Half Yard BUNDLE by Robert Kaufman! I’m all about the Famhouse from Fig Tree. Love the Modern Background Paper bundle. Thanks for the giveaway. I love their bundles, their modern mix and the Canyon bundle that you show. All looks like fun fabric!! I really liked the “Wicked Halloween Pumpkins Timeless Treasures” fabric. Would make a great backing fabric for a Halloween quilt! Purebred or the Christmas bundle? Hmmmmm. I am drawn to Dot Dot Dash by Me & My Sister Designs for Moda Fabrics! What fun these will be in a project. thanks for the chance. I liked the Milk and sugar Lecien Flower bundle. It would make a nice addition for my fabric supply! I really love Spring Showers by Kaye England for Wilmington Prints! Love the Canyon by Kate Spain. I’ve already managed to get my hands on some but I think I will need to get some more for binding! Thanks for the giveaway. Wow, that paint by numbers fabric set is inspired. I would like to get some of that, or else some Alison Glass. Thanks! the picket packs are cute, but I really the low volume bundles with loads of text prints. Great giveaway, thanks! I love their Friday bundles and I must have some of the Purebred line – I love it!! Thank you for the giveaway! I love the Red Velvet fat quarter bundle! I love Purebred by Erin Michaels. I have most of her earlier collection but love this updated and expanded version. So many to choose from. Christmas bundle for me. It must be that time of year! Thanks for the giveaway. I like their selection of wide quilt backing.